Spring Summer 2016 Trend Quiz - How On-Trend Are You? 1. ‘The new Gucci’. What does that phrase mean to you? a) Um. Coleen Rooney’s latest handbag purchase, seen in slightly blurry pap pics on the Daily Mail sidebar of shame? b) Isn’t it quite hot now? New designer maybe? 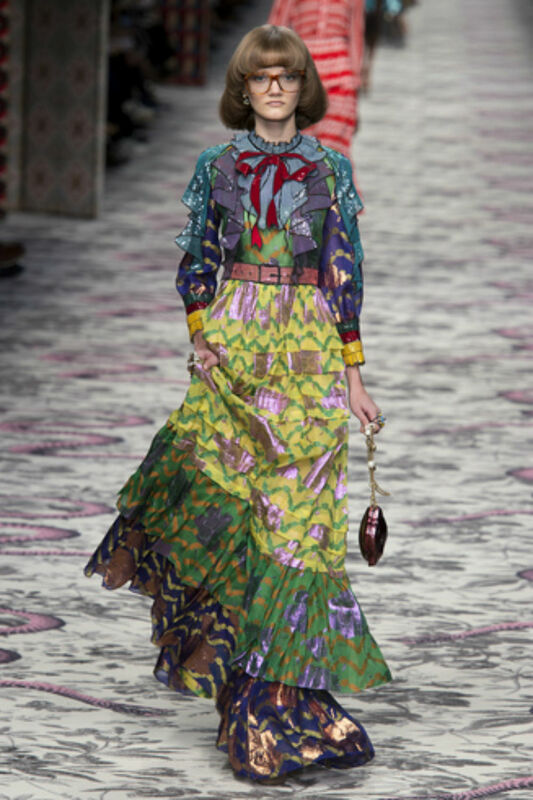 c) The vintage-inspired vision of new creative director Alessandro Michele and his surprise turnaround of the brand into fashion’s most talked-about label. Who doesn’t know that?! a) Essential. My mum’s words about being run over by a bus still haunt me now. b) Preferably bought for you by someone else and preferably attached to a pink silk Agent Provocateur label. c) The new outerwear. Have you seen Alexander Wang’s last show for Balenciaga (below)? There are no vintage silk slips left on Ebay. And believe me, I’ve combed. a) Gold is obviously worth more. But silver comes in handy for those annoying shops that still don’t do contactless. b) I always feel like gold makes me look like a Christmas tree. So on that basis, silver every time. I don’t really do metallics much, to be honest. Hard to pull off. c) If someone was to run up and put a gold sequinned dress over my head, I would literally vomit. It is so last year I can’t even look at my own wedding ring. 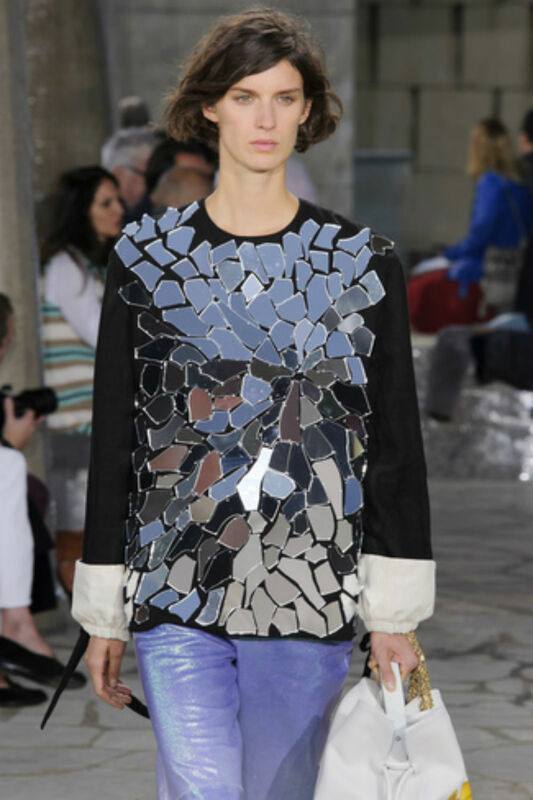 Silver mirrored shards a la Loewe – as seen here – are the only way. a) Characters in the BBC’s latest period drama? c) Sleeves. You are nothing without an extreme sleeve for spring. Erdem’s (below) were insane. They are already actually driving me insane, what with the coat situation – but I’m trialling some gilets to solve it. a) ‘Clothes’. In French. My A-levels did come in useful after all. b) I think I’ve heard of this one, do they do jeans? c) A Paris design collective who are currently THE HOTTEST THING ever. 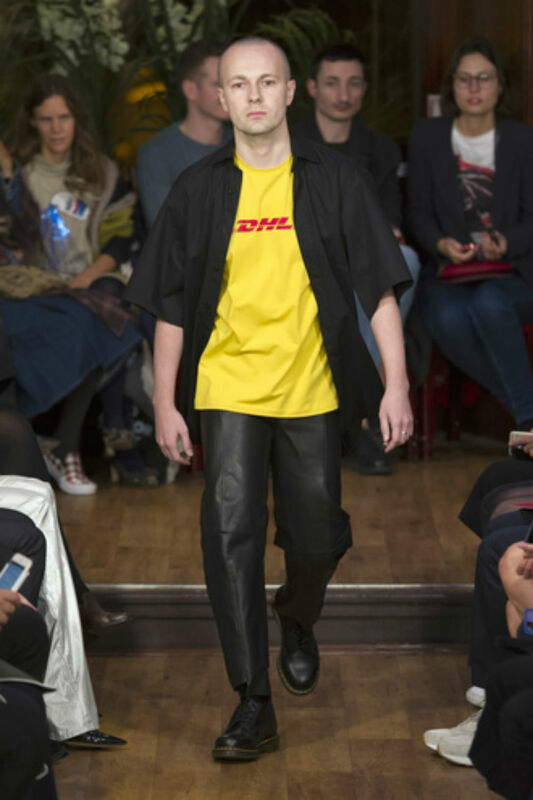 And their leader Demna Gvasalia (below at the SS16 show) is the new creative director at Balenciaga. So even hotter now. 6. ‘Gap Year Chic’ – does it exist? a) I only owned a North Face anorak and a pair of flip-flops when I went to Thailand to help at that orphanage. It didn’t even look good at the time. c) Um, hello? 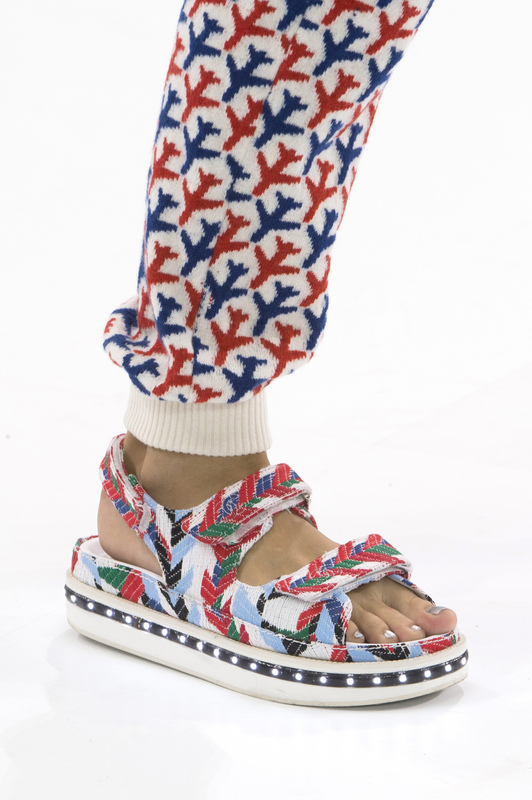 Have you actually been to any fashion shows recently? Burberry? Tommy Hilfiger? I’m corn-rowing my hair as we speak. It really sets off my embroidered cheesecloth Isabel Marant blouse. b) Nice if you’re getting married. 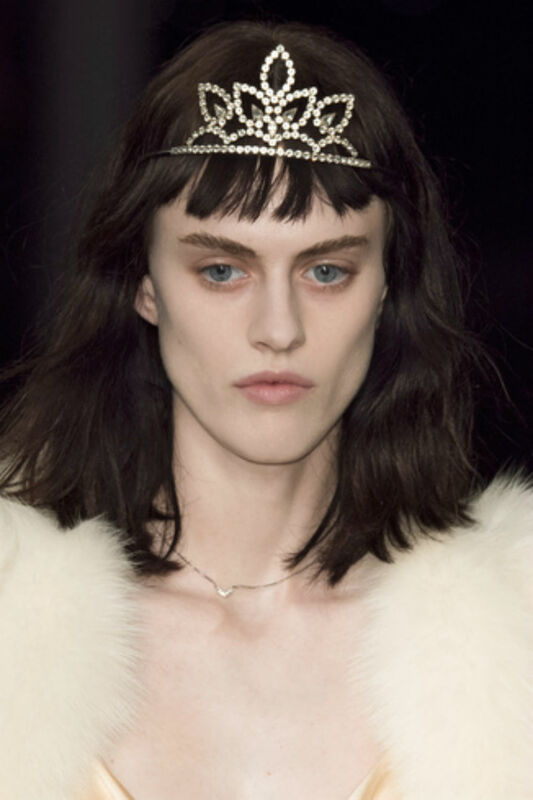 And if you’re into that Vera Wang-princess vibe. 10. Buzzcuts – your view? a) My brother had one when he was 16 by accident. He never forgave that hairdresser. And he kept getting asked when he was going on parade. b) The nearest I’ve ever got to short hair is the time I asked for ‘an inch off’ and the stylist got carried away. I couldn’t look in the mirror for a month – my boyfriend doesn’t call me ‘Rapunzel’ for nothing. a) ‘Fashion’ – it’s not just a song by the late, great David Bowie, you know. Get a copy of Marie Claire Runway and familiarise yourself with the concept of SS16 tout de suite. b) For you, trends may come and go, but style is eternal. A fair view. But you could still benefit from a bell sleeve, a cut-away top, a pair of platform hiking sandals and a lace-trimmed slip in your life. Go on, you know you want to. c) Are you actually me? You’re so SS16 it hurts. You’re the kind of gal who got your hands on those Gucci snake-heel mules before they even hit the shelves. Respect.